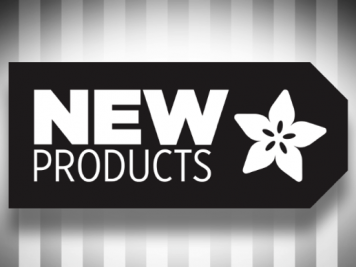 New Products 6/6/2018 Featuring RFID/NFC Nail Stickers! 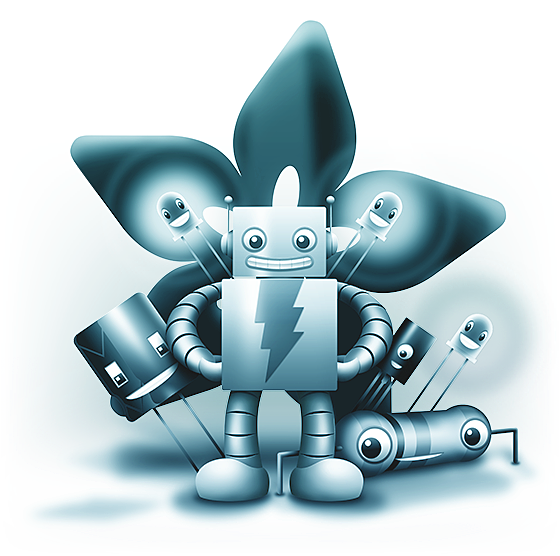 @adafruit #adafruit « Adafruit Industries – Makers, hackers, artists, designers and engineers! JST PH 2-Pin Cable – Male Header 200mm: For a really long time we assumed that the JST PH didn’t have a free-hanging male header version. But then we found this JST-PH 2-pin Male Cable, and we were like, this is perfect! It’s not a genuine JST connector, but it’s 100% compatible with a nice clicky connection that you can undo without tearing the contacts from the housing. Plugs in nicely all with our Li-Poly batteries, it even has the right color coding! What more could you want? 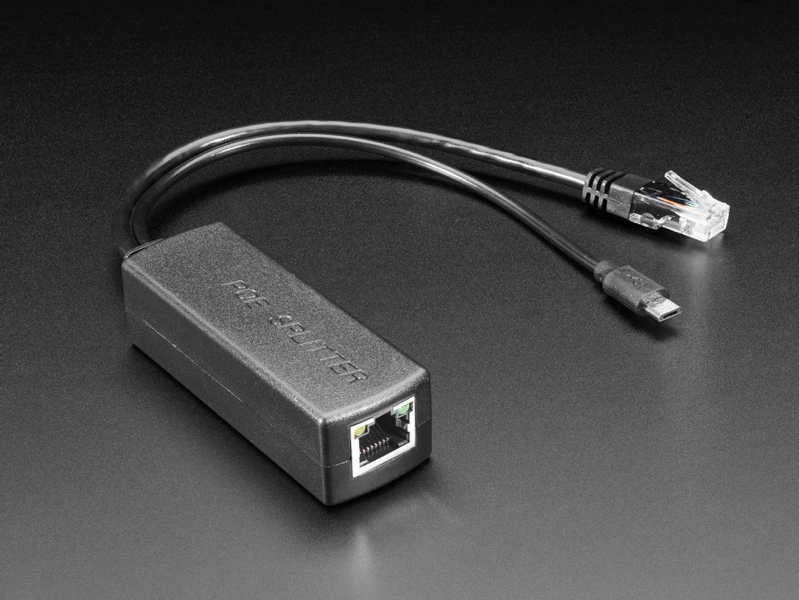 PoE Splitter with MicroUSB Plug – Isolated 12W – 5V 2.4 Amp: Power over Ethernet (PoE) splitters can make your project wiring a breeze – and best of all they work to connect any 802.3af-capable router to any Ethernet device, even if it doesn’t natively support PoE! The splitter takes a unified PoE signal (data and power) from one RJ-45 cable, and then separates the data (Ethernet) and power (5 VDC regulated) into two different lines for non-PoE devices. 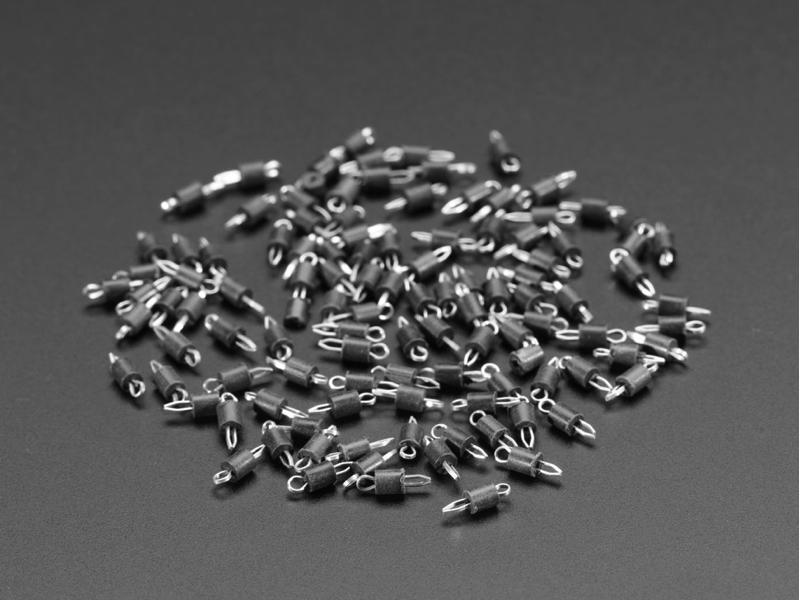 Small PCB Test Points (100 pack) – Black: Testing is an important step in board manufacturing. And it can be super tricky on a fully populated PCB. 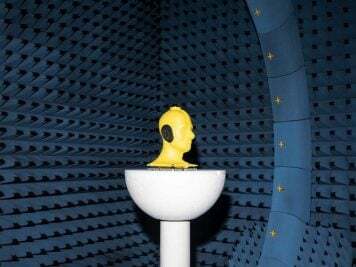 So how can you test connections when you have an assortment of components blocking your probe? 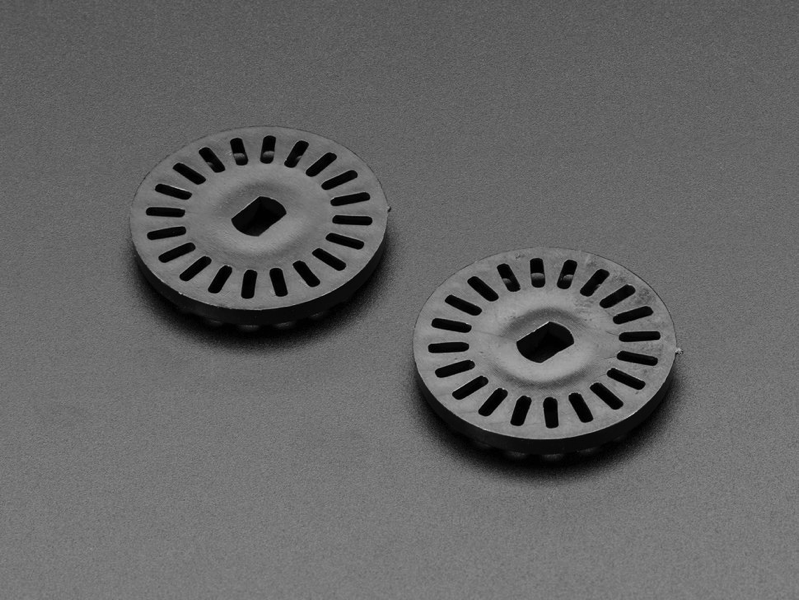 These “mini loop type” Small PCB Test Points easily snap in to your project, and they’re ideal for ultra-low profile surface-mount testing! They will attach to J hooks, EZ hooks, grabbers, alligator clips, tips, probes, what have you! 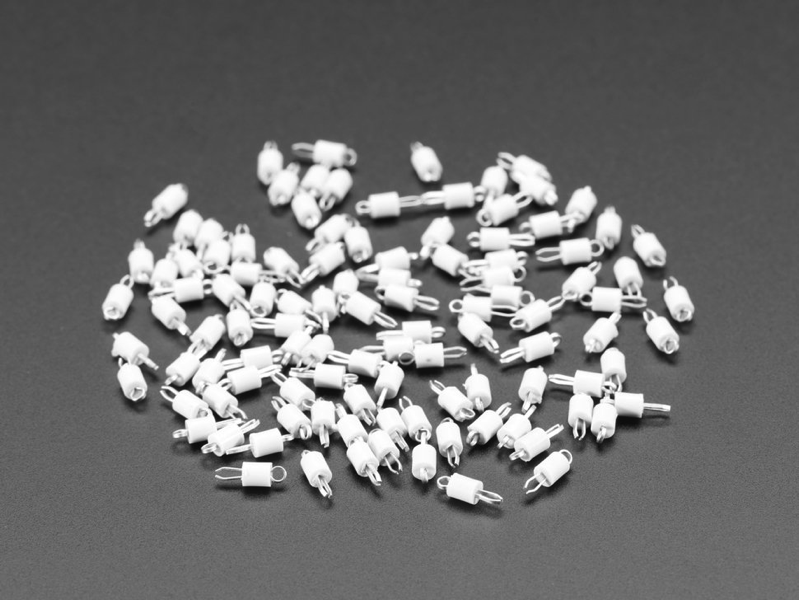 Small PCB Test Points (100 pack) – White: Testing is an important step in board manufacturing. And it can be super tricky on a fully populated PCB. So how can you test connections when you have an assortment of components blocking your probe? 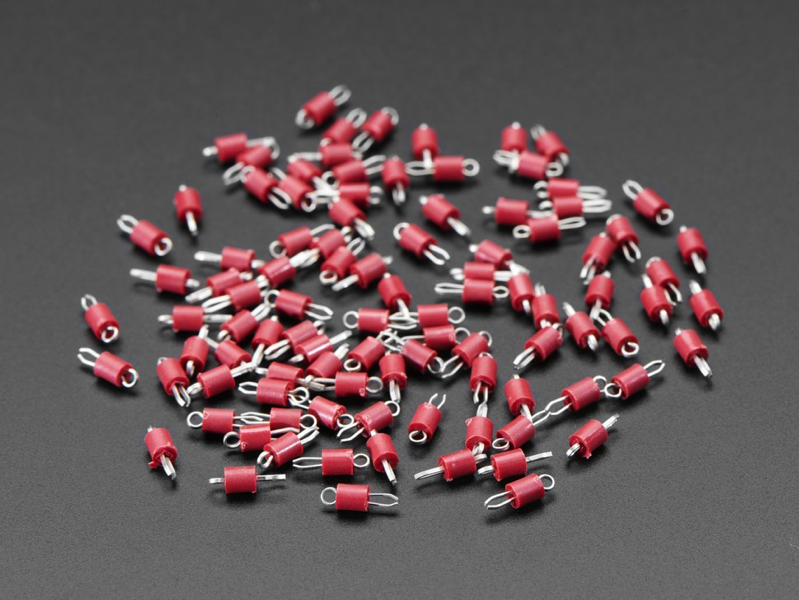 Small PCB Test Points (100 pack) – Red: Testing is an important step in board manufacturing. And it can be super tricky on a fully populated PCB. So how can you test connections when you have an assortment of components blocking your probe? AdaBot LunchBox: Your eyes do not deceive you – this is absolutely an AdaBot lunchbox! 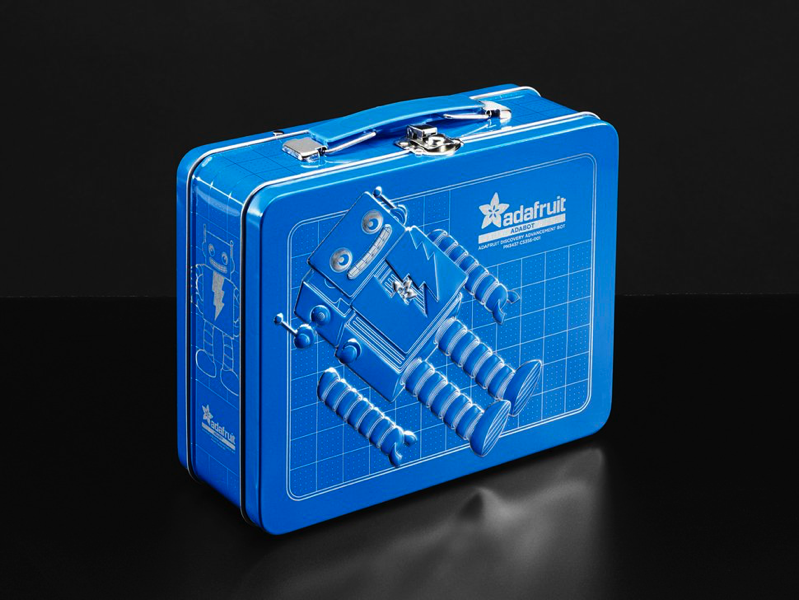 Whether you’re sporting this at school, work, Maker Faire, or jury duty, this beautiful, shiny blue lunchbox is guaranteed to turn some heads. Fill it up with your favorite edible goodies – heck, fill it with your favorite electronic goodies if you want. From bananas to breadboards, jumper wires to jelly beans, and resistors to rugelach, pack this vivacious vessel with all the things you love. Black Magic Probe with JTAG Cable and Serial Cable – V2.1: Toss away your boring old SWD/JTAG adapters! 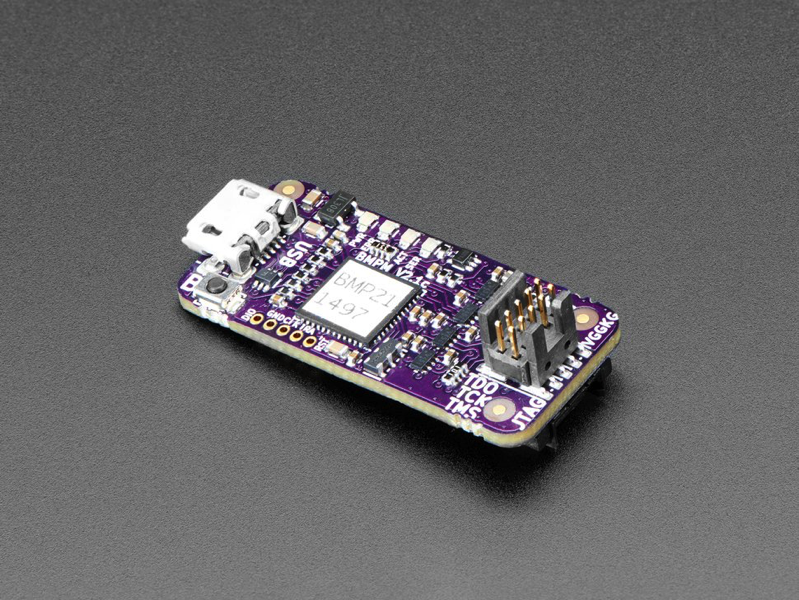 This Black Magic Probe, designed by 1BitSquared with Black Sphere Technologies, is a next-generation debugging tool, perfect for your ARM Cortex hacking. Unlike most dongles, you don’t need to use OpenOCD or STLink. Instead, the BMP is itself a GDB server port, emulated through the USB serial connection. 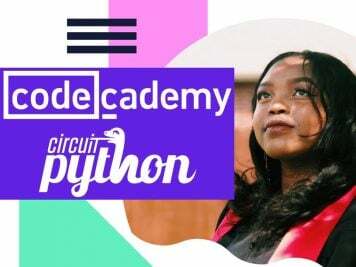 We just thought this was such a cool idea, and you also get a ‘free’ USB-serial adapter as well, with nice socket headers that you can plug into your target for dual GDB+printf debugging fun. 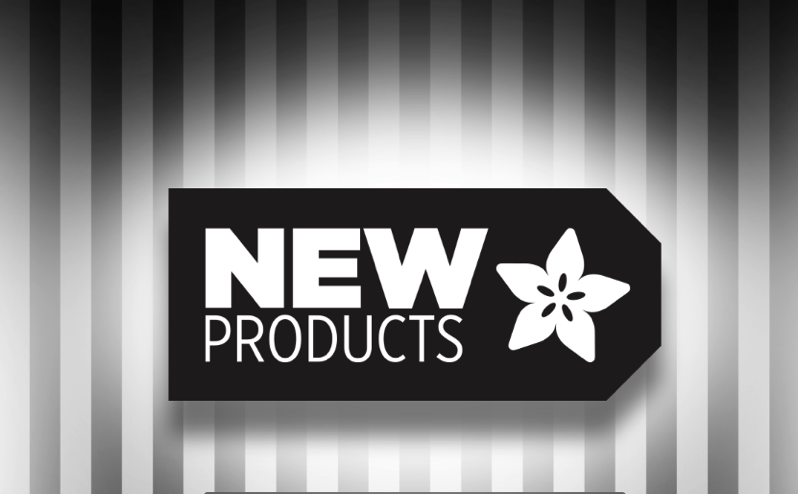 Fully open source hardware, your purchase supports development and improvements! 3.2″ TFT LCD with Touchscreen Breakout Board w/MicroSD Socket – ILI9341: Add some jazz & pizazz to your project with a color touchscreen LCD. 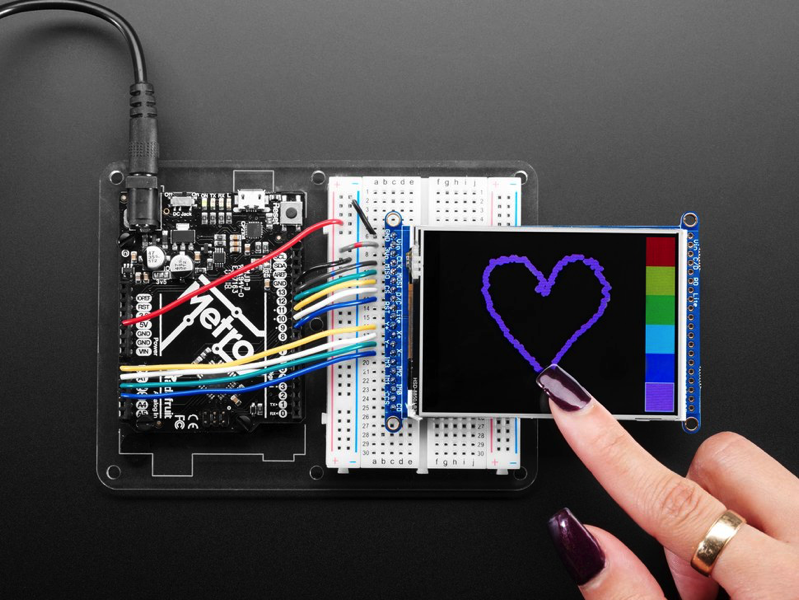 This TFT display is really big (3.2″ diagonal) bright (6 white-LED backlight) and colorful! 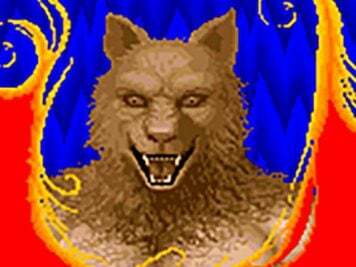 240×320 pixels with individual RGB pixel control, this has way more resolution than a black and white 128×64 display. As a bonus, this display has a resistive touchscreen attached to it already, so you can detect finger presses anywhere on the screen. TT Motor Encoder (Pack of 2): Plastic gear-box motors (also known as ‘TT’ motors) are an easy and low cost way to get your projects moving. They’re low cost, durable, and easy to use. The trade-off for those low cost hobby motors is that they don’t have any way of knowing their speed or location. Basically you send voltage in and get rotation out. Really expensive motors have encoders built in, and for these TT motors, we’ve now got some simple snap-on encoder wheels. 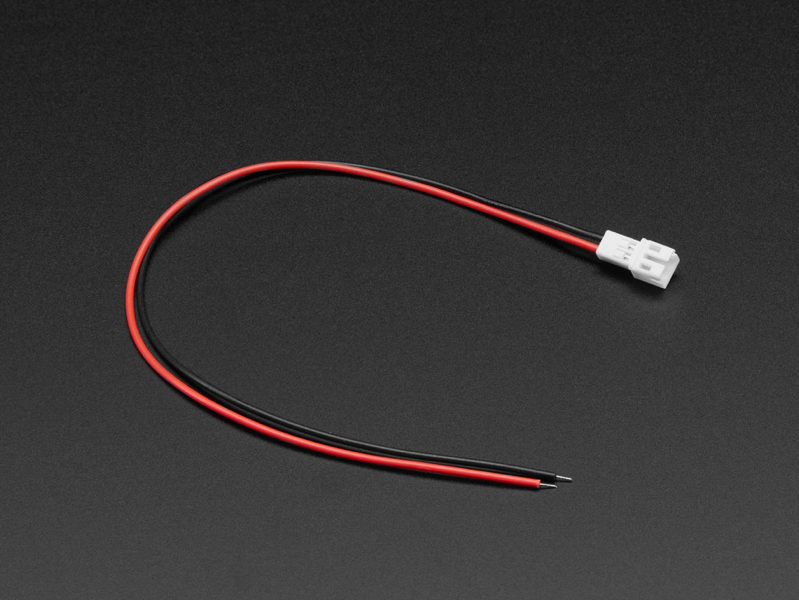 This TT Motor Encoder is solid, but thin, so it won’t make your robot bulky. It even comes in Adafruit black! RFID/NFC Nail Stickers – 5 Pack with White LEDs: You’re at New York’s hottest cyberpunk club is Near Field Commune(ication), and it’s got everything, Adabot & the Circuit Playground, Collin’s wondrous, mind-blowing, heart-stirring Pulse Room, and more! And you are dressed to the cyber-nine’s, with wearable LEDs, EL tape, and a full manicure set of glittering RFID/NFC Nail Stickers! 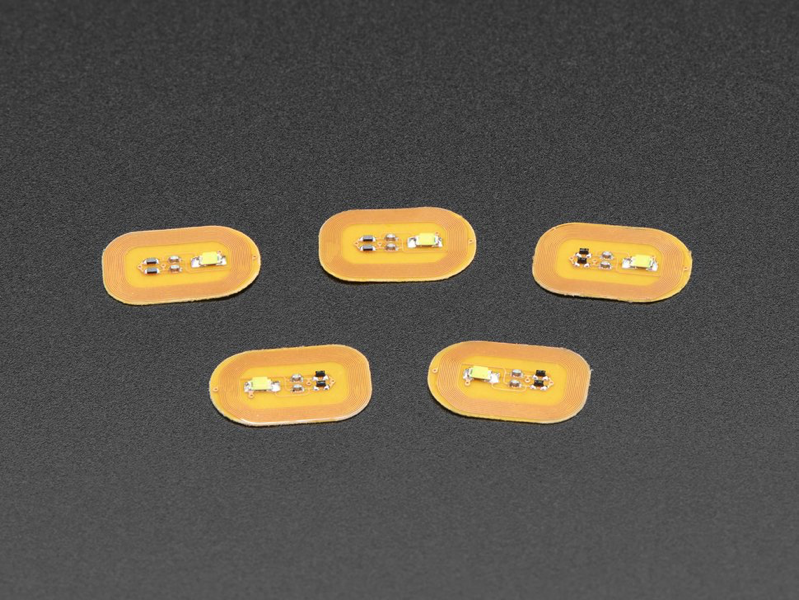 These tiny flexible PCBs have a coil, transistors and a little LED on them – when in the range of an RFID or NFC reader (such as that in your phone) the coils pick up the electromagnetic energy emitted and use them to blink the LED for a cool cyberpunk effect – no batteries required! These are seriously cool wearable LEDs that light up when close to contact-less payment terminals, NFC smartphones, RFID card door locks, etc.